Delicious, healthy, low in fat and high in protein (only £1.00 each). 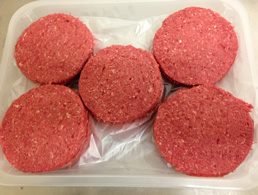 Low in fat and high in protein our 1/4lb Ostrich Burgers are made fresh in our butchery using 90% Ostrich steak meat. Supplied in cartons of 25 and suitable for home freezing.